That's That...: Big L - "Put It On" x "Flamboyant"
Big L is another tragic tale in the greater story of Hip Hop—yet another talented artist taken from us far too soon. One of the most lyrically talented emcees to bless the mic, the Harlem rapper had it all—humor, confidence, freestyle ability, storytelling, and the message (I consider him the East Coast Pac as far as the message was concerned). 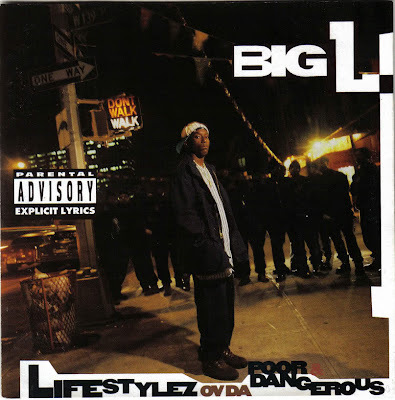 Big L’s 1995 debut album Lifestylez ov da Poor and Dangerous is a haunting display of life in his hometown of New York and is considered a classic among many heads (it also features appearances by, then unknown artists, Jay-Z and Cam’Ron). The album reached the Billboard 200 despite the fact that most of the songs went unplayable on the radio due to content (a testament to L’s skill as most of his promotion came by word of mouth). It has a distinct 90’s feel to it and the album I like to compare it to sound wise is Nas’ classic Illmatic. "Put It On," featuring Kid Capri, is the first track off of the album and, rightfully so, the first L material I ever laid ears on (I was absolutely blown away). "Flamboyant" comes off of his 2000 posthumous album The Big Picture and is another example of his tremendous lyrical capacity. The world wasn’t good enough for Lamont Coleman. Big L was a hometown hero and a legend. On the verge of signing with Jay-Z’s Roc-A-Fella Records, on February 15, 1999, Big L was shot and killed a few blocks from his Harlem home—he was 24. Though his murder case remains unsolved, it is speculated that the murderer may have mistaken Coleman for his brother who was in jail at the time. When released some months later, his brother was shot and killed while trying to investigate L’s death near the same location his brother was slain. Hip Hop lost a legend that day and one can only speculate on what the state of the genre would be like today if greats like Biggie, L, and Pac had never been taken from us. R.I.P.